A well-stocked apothecary is central to an herbalist’s craft. Making medicine is a passion of mine, and so my apothecary is fairly extensive – about 300 herbs – the majority of which we cultivate or wildcraft. Another passion is Chinese medicine, so I stock a few dozen Chinese herbs as well. Most people think that Chinese herbs only grow in China, but actually, many are also found and used in the West. This excites me, not only because of the simple fact that it is so, but also because of the diversity in which these plants are used. It fascinates me that the reasons why an herb is chosen and the manner in which it is prepared and used can vary markedly among different healing traditions. Hawthorn is one such herb. Western herbalists agree that hawthorn (Crataegus spp.) is arguably the best all around tonic for heart and cardiovascular health. The medicine is found in the berry, leaf and flower, and usually combined into one tincture. Hawthorn’s effect is broad ranging, and not just for the physical heart. It is powerfully beneficial for the emotional heart too. All wisdom traditions I am aware of say that our spirit – seat of consciousness – rests in the heart. When the spirit is disturbed, it affects us on every level, including our mental-emotional well being and how comfortably we are able to engage the world and others. In China, however, this is not the case. Current Chinese literature includes hawthorn’s cardiovascular benefits, but it cites it is as a recently adopted Western use. Chinese primarily use hawthorn (shan zha) to treat poor digestion, alleviating food stagnation and improving nutrient assimilation and digestive comfort. They only use the berry, and before ingesting the medicine as a tea or powder, the berries are first dry fried or gently baked until their color turns from red to golden-orange-brown. 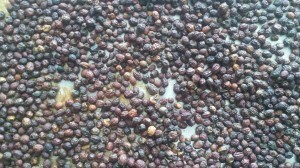 This is the primary way that hawthorn is used in Chinese medicine. This intrigues me. I am much more a ‘both-and’ person than an ‘either-or’ person. When it comes to hawthorn, I say why not have your cake and eat it too. People are people, whether Asian or Caucasian or any other denomination. And hawthorn is hawthorn, even when it crosses geopolitical borders. Hawthorn is used differently because cultures perceive reality differently, including human health. Hawthorn doesn’t change from heart medicine inside Europeans into digestive medicine inside Chinese. It helps human organisms everywhere and anywhere it finds its way, whether in our hearts or minds or joints or bellies. Why the Chinese missed hawthorn’s cardiovascular effects is open to speculation. My guess is that cardiovascular disease has been exceedingly rare in China for most of its history, and so heart medicines weren’t a high priority. If China keeps adopting Western lifestyle, hawthorn will soon be used as much and more for heart disease as it has been for digestive woes. When I make hawthorn tincture, I add a Chinese-inspired step. In late spring I make a batch of tincture from leaf and flower; but I refrain from using it, even after pressing it out. When berries become available in the fall, I repeat the process, but with a twist. First, I divide the berries into two equal portions. One portion I blend with the optimum ratio of alcohol (40%), vegetable glycerin (10%), and water (50%). The other portion I spread on cookie sheets and bake at ~275 until the berries turn to the desired color. Then I macerate that portion. 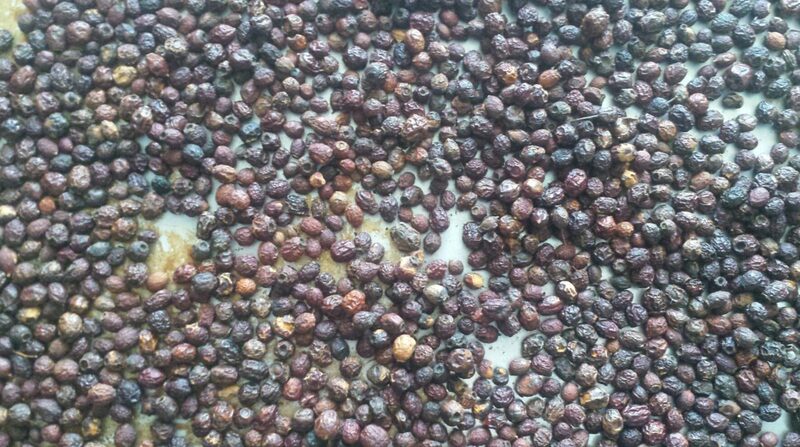 Weeks later, after pressing out the berry tinctures, I combine all preparations – flower/leaf, raw berry, baked berry — into one homogenous whole. Unless an herbalist is following a similar process, my hawthorn tincture is qualitatively different and has a broader scope of use. I use this to my advantage when making formulas for people with complex health issues, especially when matters of the heart intertwine with matters of the belly. In Chinese medicine, it is common practice to use various pre-preparation cooking or marinating techniques to amplify, expand, or alter an herb’s energetic nature, use, or organ affinity. I apply these techniques as well, sometimes extending the principles and methods to Western herbs that Chinese medicine is unaware of. In my Materia Medica (next class starts September 7th) and Herb Preparation classes I teach these Chinese ‘alchemical’ techniques whenever applicable. It makes the medicines that much more formidable. Like my Chinese meditation teacher used to say, it’s like adding wings to a tiger.